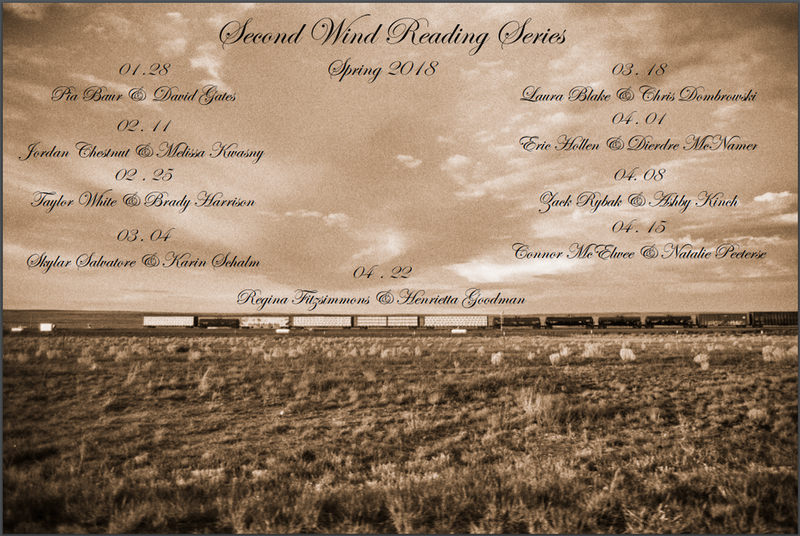 Second Wind is a public reading series pairing students in University of Montana's Creative Writing MFA program with UM faculty, alumni, and community writers. Come join us to hear the illustrious David Gates and the diesel-fueled stylings of Pia Baur. "I’m a writer, but I hate writing about myself. If I had to describe myself in a sentence: European-born, Bay-Area-raised, and a current Missoula resident. I’m most at home on the road, especially on a highway that grazes a beautiful coastline." Read Gates' latest over at The New Yorker. Here's "Texas." And here's a clip of the author reading from the story. Join us in welcoming this week's readers at Ole Beck VFW Post 209, 245 W. Main Street, in Missoula, Montana. Have a start of the semester drink, paper boat of free popcorn, or just sit and listen. Come early for a good seat!